I think it officially becomes Spring once Easter rolls around. Tomorrow you are probably planning a big meal with family to celebrate Easter, and hopefully I can lend a hand with the wine. No matter what you plan on serving tomorrow, hopefully I can help. If you are going the traditional turkey route, here’s one of my favorites. From the Napa Valley it’s Stags Leap Viognier. This is a new grape I have discovered since moving to Nova Scotia, and I love the crisp vitality of the wine. Flavors of white peach and a lovely acidity make for a well balanced white wine. This wine is also fantastic with spicy Asian cuisine. For those of you who gave up meat for Lent, you may be celebrating tomorrow with a big juicy steak, or a delicious pot roast. Have I got the wine for you. The 2010 Yalumba Pachwork Shiraz from the Barossa Valley in Australia. This is the type of wine that gave Australia the crown when it comes to a Shiraz. Said to be one of Australia’s oldest vineyards, the Yalumba Patchwork Shiraz is a dark red color with earthy tones on the nose. Deep rich fruit combine with flavors of cedar to make a great match with beef. Another one of my favorites is from McGuigan Wines in Australia and winemaker Neil McGuigan. The McGuigan Shortlist Shiraz is a beauty, with powerful flavors of red berry fruit and black currants. The only problem with this wine is that they make very little of it each year, thus the shortlist. It is fantastic wine, selling out fast all over Nova Scotia. Each bottle has an individual number on it, and if you get the opportunity try this wine. 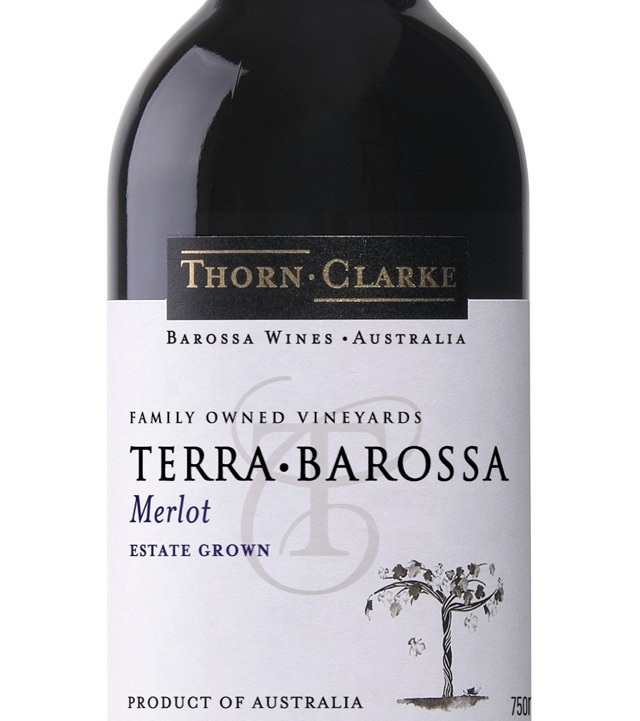 You are going to love the Thorn Clarke Terra Barossa Merlot – with its big bold color in the glass and flavors of plum, licorice and chocolate. It’s a great wine with pork. And it seems I’ve been having out in the ‘Wines from Australia’ section a lot lately, so here’s another great wine with pork. The Velvet Devil Merlot is out of Washington State in the United States, and is a favorite Merlot of mine. Dark cherries, tobacco, cedar and oak combine t make a powerful Merlot. I hope you have a wonderful Easter weekend. Enjoy family and friends with good food and good wine. I would like to take a moment to thank each and every one of you for reading each week. And for Rick, Sue and the gang for allowing me to try new wines each week. I tried this 2011 Anselmi San Vincenzo last night and it immediately swooped me away to the Sunny South with gentle breezes and palm trees. Fruity and tropical with flavours of peach, pear, melon and white pepper that explode in your mouth. Tried this with my friend Rick, who is also planning on going down South, and we both commented on how we hope to find this wine on our travels. At under $20, this one is going to be one of my favorites this Summer. Here’s a beauty of a wine that I have enjoyed a couple of times in the past few weeks. The 2010 Chateau De Nages Costieres De Nimes. It’s a mouthful of wine, both to say and to drink. It’s a blend of Grenache, Syrah (you may know it as Shiraz) and Mourvedre. This blend is more commonly known as GSM, you have probably seen those initials on other bottles of wine before, especially on wine coming out of France, Australia, the United States or Chile. The term GSM is thought to have come out of Australia, a New World wine country, which is probably why France doesn’t use the initials on their bottles. This fantastic wine is a bit of a treat at $23.99 but you owe it to yourself to treat yourself once in a while. Intense flavours yet a soft supple wine, aged in oak for 12 months, super smooth and soft tannins. The bottle calls in pure unaldurated pleasure – and I agree. Another fantastic wine I tried this week was the Evans and Tate Margaret River Chardonnay. Can you say smooth? I tried the 2009 vintage, which apparently had near perfect ripening conditions for the grape and it was harvested at night to save the crisp flavours. This produced a Chardonnay that had aromas of citrus fruits and creme brule… who needed dessert – this was dessert in a bottle, but not sweet. On the palate flavours of peach and melon with a smoothness bought on by oak aging in french barrels. Around the $20 range, this will go well with just about any food you are serving. And my last red is also under $20, and the beautiful Thorn Clarke Terra Barossa Merlot. Dont let the name Merlot scare you off. This is a big full bodied wine in the glass and on the palate. Deep dark purple color in the glass prepares you for the great wine experience you are about to have. Plum and cherry flavours dance with chocolate and herbs and oak ageing in both French and American oak make for a beautiful finish. This wine is begging to be served with pork – pork chops, pork tenderloin… you will love it. I love finding a good deal. And that includes wine. Recently I have had tremendous success with finding some great wines under $15. This is one of my new favorite finds. It’s Eye Spy Cabernet Merlot from Western Australia. For a recent wine review, I gave this wine a 91 Rating. I can’t remember the last time I gave a wine under $15 a 91, but this one earned it. In the glass, this wine has a gorgeous rich plum color, and in the mouth juicy berries with a hint of leather finished with a nice oak. 55% Cabernet Sauvignon and 45% Merlot, this wine is a winner. Fantastic with grilled pork. Here’s another winner I recently discovered. It’s Rymill The Yearling Cabernet Sauvignon 2010. From the Coonawarra region of Australia, this fruity soft supple wine is youthful, but still very bold. With flavours of raspberry and chocolate, there’s also a hint of herbs with the nice rounded tannins Australia is known for. I loved this wine and will enjoy it again and again. Again, very food friendly, especially with grilled foods and would also go great with aged cheddar. What are the chances of finding a 2008 Reserve wine under $15? The 2008 Castillo de Almansa Reserva is a blend of Tempranillo, Monastrell and Garnacha grapes. Aged in oak for 12 months before bottling, it tastes of maturity. With rich aromas of black cherry and licorice, and on the palate I could detect black pepper, the wine finishes especially nice with a hint of vanilla and of course the oak. So there you have it, 3 fabulous finds all under $15. Until next week, Cheers! Today we venture to the land down under. And discover a few great wines. First a big thank you to all the readers last week, I am humbled and grateful by how many people read the blog on ‘Tips To Buying Wine’. So in the past couple of weeks, I have had a couple of great wines from Australia, and they are both reasonably priced. Peter Lehmann Layers – 2010 from the Barossa Valley. What an exceptional treat. It’s on sale right now at my NSLC, but regularly sells for $19.995 here. Still a great price for this great wine. Layers is an appropriate name for this multi-dimensional wine. The label describes it as “Intriguingly complex, Simply beautiful. :” I couldn’t agree more. The intense fruit of the Shiraz, the spiciness of Grenache, the earthiness of Mouvedre and the structure of Tempranillo blend together to surround your mouth with all of the flavours that each grape brings to the wine. As my friend Rick says, you can actually feel all the layers on your palate. I love wines from the Barossa Valley known for its Shiraz. This is a great one that I am looking forward to having again. Are you planning on having steak in the near future. Then please try this next wine with it. Another great wine from the Barossa Valley that I have had the pleasure of enjoying the past couple of weeks is the McGuigan 2009 Cabernet Sauvignon The Shortlist. You may have heard me talk about McGuigan’s before, the Black Label Shiraz is a great value. At under $13, it’s easy to drink and one of the best values in any Liquor Store. This McGuigan is the wealthier cousin , but so worth the money. I had No 11087 but each bottle has its own individual number. It’s pleasure to the senses in a bottle. At just under $25, I still think this is a great value. It’s a spectacular complex wine with flavours of blackberry, plum and mint. Neil McGuigan is a third generation wine-maker and knows what he is doing. He says 2009 was a mild growing season so that the grapes had a chance to ripen slowly. 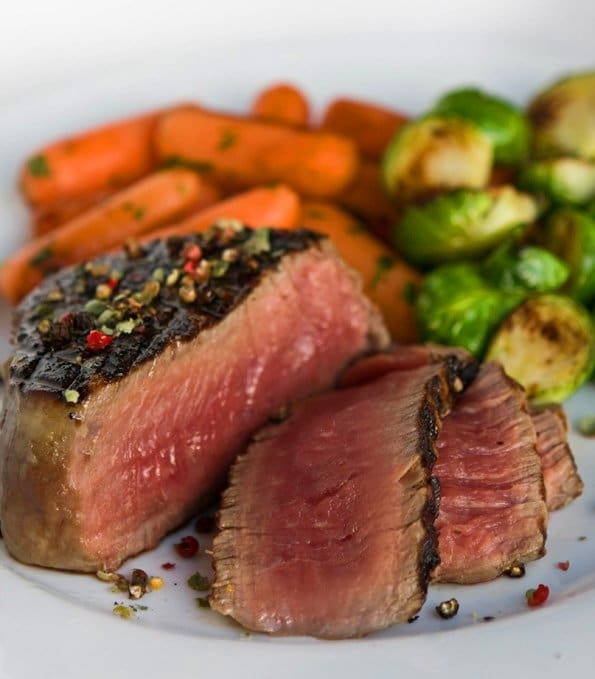 Here’s a great steak recipe from Natalie Maclean’s site that I had when I had this wine. Check out Natalie’s site at www.nataliemaclean.com I am one of the wine reviewers for her site. To prepare the vinaigrette, simply shake the ingredients in a sealed container. Layer arugula and tomatoes on a platter or individual plates. Bring steaks to room temperature and preheat grill to high. Brush steaks with olive oil and season with salt and pepper. Grill each side for 4 minutes (for medium rare with internal temperature 130-135oF) and let rest for 5 minutes. Slice the steak along the short side and place on top of arugula. Drizzle approximately 1 oz vinaigrette per serving on steak and serve. Delicious!!! Here’s a food tip. I have recently discovered spectacular Balsamic Vinegar – from a specialty shop, it’s pricey, but so worth it. The one I bought was a maple infused Balsamic Vinegar. I will talk more about good quality Balsamic Vinegars and Olive Oils next week.